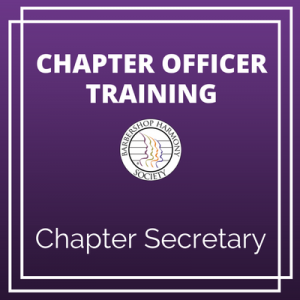 Updated Online Training Videos Available for Chapter Secretaries & More to Come! 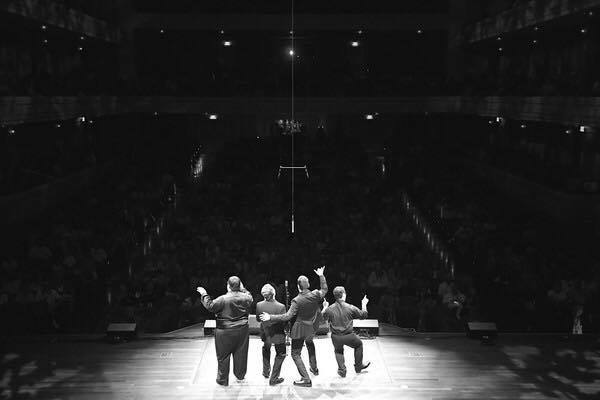 The Barbershop Harmony Society, through its Healthy Chapter Initiative (HCI), has created eight new training modules for new AND existing chapter secretaries. These videos cover the essentials in the valuable work of the chapter secretary and were developed by fellow officers who know what it takes to make this job efficient and effective. Many thanks to these content experts for their work! Module 0- Why being a Chapter Secretary is Important? This is one of the many steps in updating our materials and training as a part of HCI. There is more in the works and we are excited to bring these important guides to our chapter officers... your efforts and leadership are critical to chapter success! As always, for comments or questions please feel free to contact James Pennington, Chapter Success Manager, at chapters@barbershop.org.